Proven to provide your child’s safety around pools. 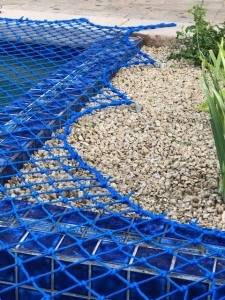 Arizona Pool Fence safety nets offer unobstructed views for your backyard pools, spas, ponds or water features. The pool nets are designed to keep your kids out of the water and preserve the space of your backyard. 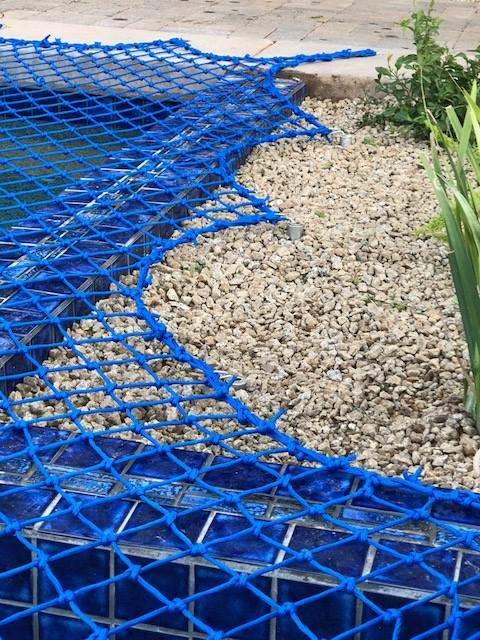 Our safety nets are proven to provide your child’s safety around pools. Why Is Toddler Safety Systems Net Better Than Our Competitors? Being our own net manufacturer right here in Phoenix, we have the ability to select only the finest and safest quality materials available. After months of research we concluded that nothing out there met our own personal requirements, thus we decided to build our own nets. Almost one year later we were able to launch our new nets and here is why we are the strongest, safety and most durable net on the market. Toddler Safety System net spacing is smaller in design over our competitors. We made the net spacing smaller than any of our competitors creating more mass on the net itself thus becoming a stronger net. Purchasing our nets from other manufacturers over the years we knew they only offered 4-5 mm net material. Although this was safe, it did not hold up as well in the sun. We knew we needed a thicker material. No other net company offers 6 mm net material and 7mm finish line like we do at Toddler Safety Systems. Our nets are undeniable built stronger. Toddler Safety Systems nets are built from saltwater commercial fishing nets that provide durability and longevity of the net. Toddler pulley systems derived from sailboat pulley’s, again creating more durability and strength than your average net pulley. 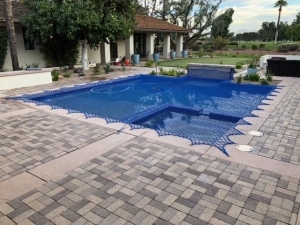 The Arizona Pool Fence Pool Safety Net is specifically designed as a barrier to help protect children from swimming pools, spas, ponds and other water features. Arizona Pool Fence Safety Nets are stretched over your pool, spa, pond or water feature and are anchored to flush mounted fasteners. Every Arizona Pool Fence Safety Net is custom-shaped for your exact needs and installed by our professional pool net installers. 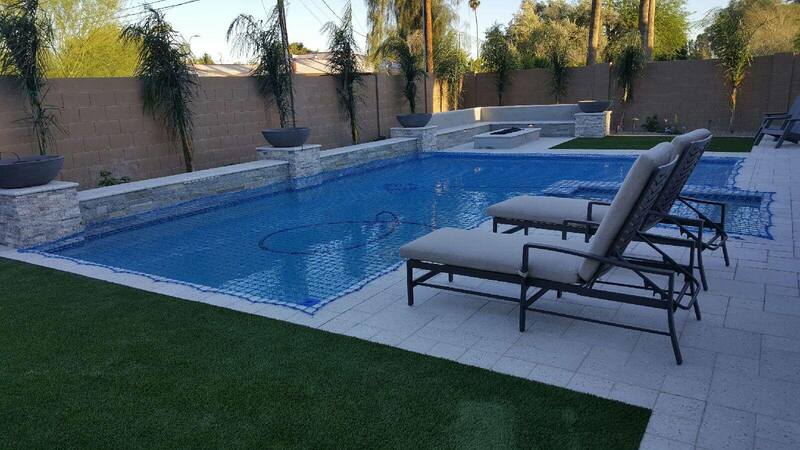 Once the Arizona Pool Fence Safety Net is installed and/or properly placed back on by the consumer, you can rest assured that your child will be safe and unable to make their way into the water. To take off the Arizona Pool Fence Safety Net, you simply release the tension by using the ratchet and pulley system to remove the pool net. This is otherwise known as the central tensioning system or CTS. 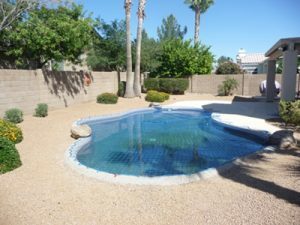 The removal of an Arizona Pool Fence Safety Net usually takes 3-5 minutes for most average sized pools. To place the Arizona Pool Fence Safety Net back on usually takes 5-10 minutes for average size pools. Arizona Pool Fence always recommends placing your pool net back on once you’re finished swimming or if adult supervision is not present.